As we all know too well, the UK and the wider world is experiencing a crippling drought as a result of the ongoing heatwave. With some European countries seeing the mercury rise well above 40 degrees, WaterAid created this simple yet effective campaign to encourage the public to cut down their shower times and water usage during the warm weather. In an effort to preserve the worlds precious water supply, WaterAid has created a Spotify playlist featuring hit songs which last exactly four minutes. 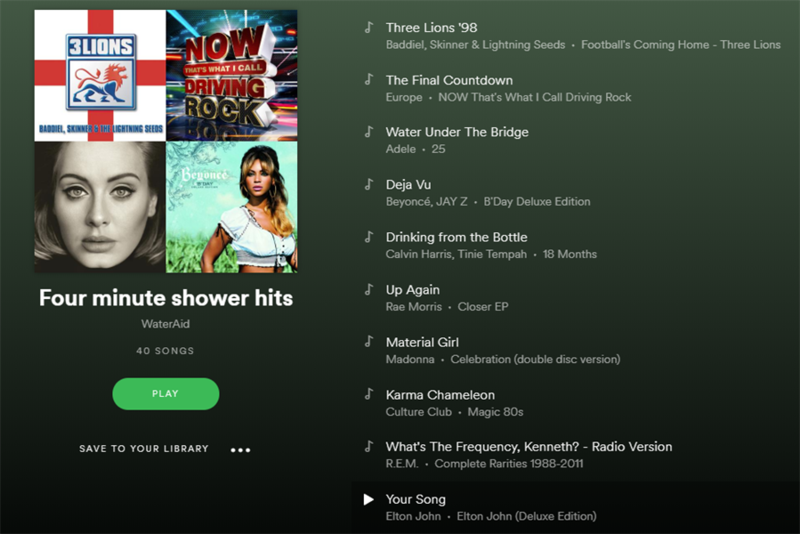 With a number of timely tracks including the football favourite ‘Three Lions (Football’s Coming Home)’ – which may still be somewhat of a sore spot for some England fans and water-themed favourites such as Adele’s ‘Water Under The Bridge’ this playlist allows listeners to time their showers more easily and conserve water by keeping their daily regime under four minutes. The simple idea just goes to show that it doesn’t take an unlimited budget and over-the-top assets to make a real impact. Miscarriages, stillbirth and cases of babies that have been born too soon are often considered a taboo subject and although they can have such a huge impact on the lives of the expectant parents, so many still suffer and grieve in silence. The campaign from Tommy’s and Mindshare aims to remove the stigma placed on conversations around the subject, in order to boost support for the affected parents and family, with an aim to build support during a time that can be physically and emotionally exhausting. This emotional one minute video is a window into one woman’s story, using her phone as a mirror for the journey and experiences she faces as an expectant mother. From telling her partner that she’s pregnant through-out sharing their scans and the discussion of names, to distress due to unusual bleeding during the pregnancy and finally contacting her mother to notify her that they lost the baby. The video closes out on some stats to drive home the problem with ‘1 in 4 pregnancies ending loss during pregnancy and birth.’ Further research by the charity focused on the lack of visibility compounded with the constant imagery which bombards us featuring ‘perfect pregnancies’ on adverts and online. Figures include 66% of those who lose a baby, feel bombarded by pregnancy-related news and content online, with a further 80% experiencing feelings of jealousy towards friends or family, who are pregnant, after their experience. The campaign has been backed by author, Giovanna Fletcher, who has spoken openly about her miscarriage, which occurred in 2012. She is known for speaking about her experiences and the effect that the loss still continues to have. With Pride month still fresh in our minds and Pride celebrations across the UK continuing well into August (huge Leeds and Brighton Pride celebrations took place just days ago), Gay Times and All Out brought us; Gok’s #GlobalPrideMakeover – a hard-hitting video which really shows just how far we have to go to secure the rights of every LGBTQ+ person around the world. Whilst many of us are able to head out into the streets in confidence, as our true selves, we may forget that so many people still face persecution every day, simply by being who they are. This video opens in the typical style, that fans of the fashion expert have come to know and love, with an array of LGBTQ+ members receiving some fashion advice to perfect their pride outfit. However, the film takes a turn and with each ‘must-have’ item comes a much deeper meaning and an associated story focusing on the persecution of LGBTQ+ people from around the world. From a distressed leather jacket as an essential layer of protection, linking back to Istanbul Pride at the start of July 2018, where police fired rubber bullets into the crowd, makeup wipes which lead to the story about Pride in Uganda in 2016 during which time those seen to be breaking gender boundaries were arrested and sexually assaulted by the Ugandan police force. Finally, a black woollen hat is called ‘an essential item’ for transgender people facing persecution in Indonesia, who just earlier this year was rounded up and had their hair forcibly cut. With US President, Donald Trump, visiting the UK in July, there was a significant number of protests and objections from activists who didn’t particularly want to see the controversial figure on British soil. 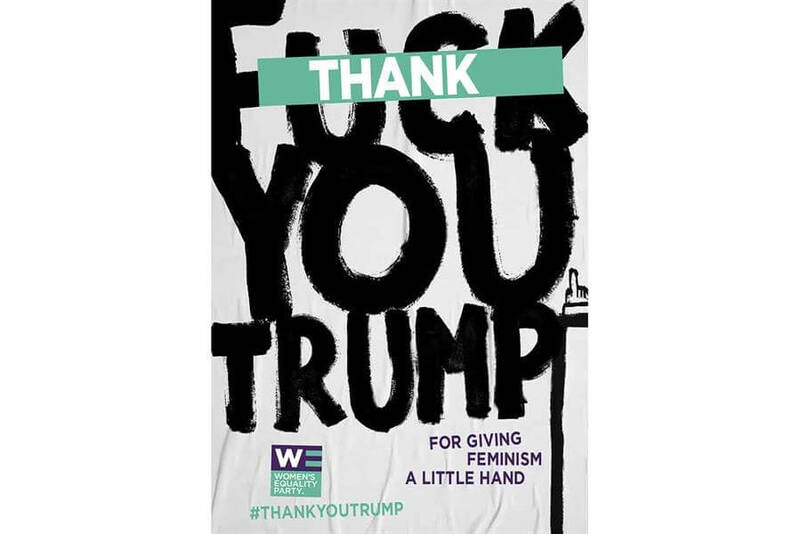 However, the Women’s Equality Party decided to take a completely different approach and in fact, they thanked Trump for driving more people towards feminism. 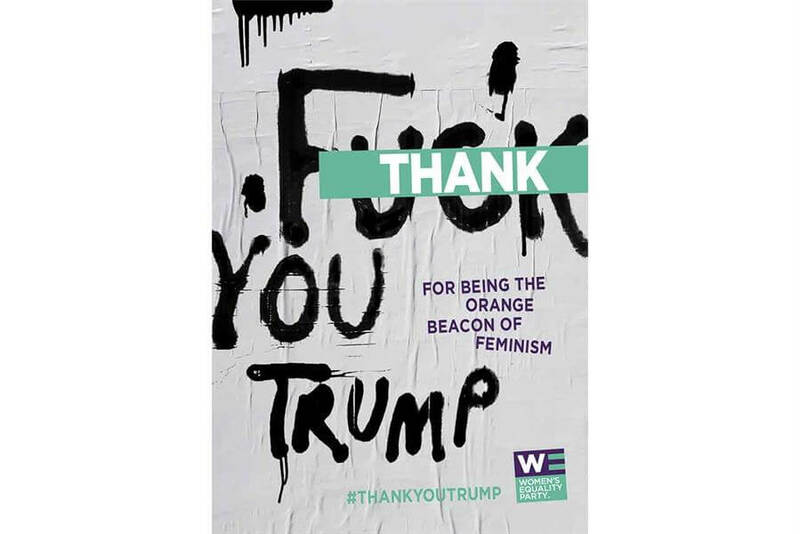 The satirical ads utilised the slogan ‘thank you Trump’, which blocked a rather commonly used profanity often associated with the US president. The campaign runs online, on social media and outside – with placards created to use at the protests that occurred, primarily in London, during the visit. Although Yorkshire Day is technically August 1st, the staff at Yorkshire Tea began celebrating several days before, with the launch of their Biscuit Brew tea and a real knock-out of a video to showcase the new product – which coincidently is not for dunking but rather tastes like tea and biscuits. With the assistance of World Record Holder (x10), Mathias Ritter, a team of 34 people put together the 800ft biscuit domino circuit. Featuring cups, teapots and over 5,000 biscuits including pink wafers, bourbons, custard creams, shortbread and jammy dodgers, the spectacular display took around ten hours in total to build.